Ergonomically designed handle reduces muscle fatigue. 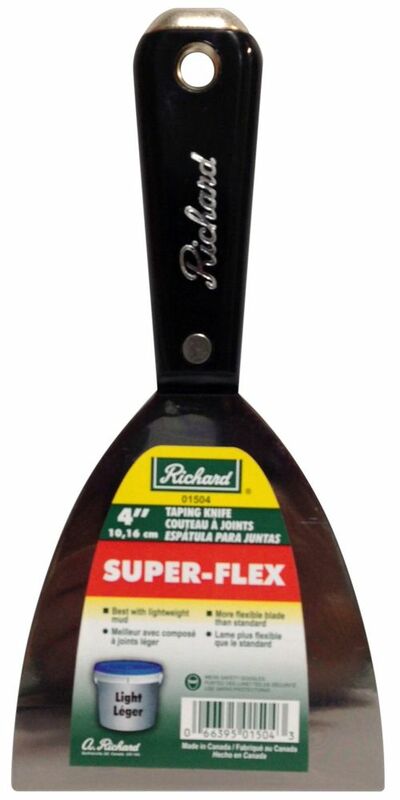 Rubberized handle is easy to clean and solvent resistant. High carbon steel blade. Patches small holes and cracks.